Garrow House is an impressive, modern student accommodation featuring spacious contemporary studios in a picturesque canalside setting. Close by you’ll find the world renowned Notting Hill, home to the famous Portobello Road and its antiques market, boutique shops, vintage stores, independent theatres, and on August Bank Holiday the Notting Hill Carnival, Europe’s largest and most vibrant street festival. Notting Hill was also the location of the eponymous 1999 Richard Curtis smash hit film starring Julia Roberts and Hugh Grant. Garrow House offers a range of light, airy student accommodation, including large single or twin studios, and a number of rooms feature a private balcony space with fabulous views over Regent’s Canal and London beyond. Every student room has a large, comfortable bed, a modern en-suite bathroom, a stylish and well equipped kitchenette, and ample storage. However, for those requiring the ultimate in storage, some room’s feature two large floor to ceiling wardrobes. A desk and chair are provided and each room has a TV. Meet up with friends in the common room over a game of pool, or take in a film on the widescreen TV on movie night. The on-site hospitality and maintenance teams are available to help whenever you need them, while secure door entry and CCTV ensure your safety. Garrow house student accommodation also offers 24 hour security to its students to ensure that a member of staff is always on hand to help. Garrow House puts university students in touch with Notting Hill’s wonderfully cosmopolitan culture. The area is packed with boutique shops, vintage stores, museums, quirky restaurants and independent theatres, and not forgetting the world famous Portobello Market, only a 25 minute walk away, which takes place on Fridays and Saturdays with smaller markets on other days. The area is crammed full of quirky eateries and specialist bars, and a visit to the fabulously opulent Electric Cinema is a must for film and food lovers. Once you have bagged a bargain on the Portobello Road, why not take advantage of the excellent transport links and explore the area? Tube stations at Westbourne Park, Ladbroke Grove, Kensal Green and Royal Oak are within a few minutes walk, and the 24-hour bus services which connect the area to central London are conveniently located just one minute from the property. The University of Westminster and Regent Business School are a mere 15-20 minute bus ride, alternatively you can take your bicycle from the on-site secure bike storage facility at Garrow House and cycle the journey in around 20 minutes. If you’re studying at Imperial College (Hammersmith Hospital Campus) your journey will be a convenient 10 minute bus or bike ride. For those who like to keep fit, Regent’s Canal offers a great place for that morning run past canalboats and wildlife. 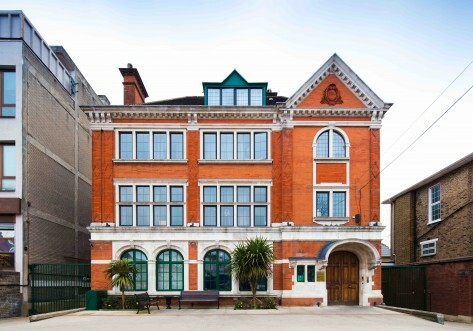 Garrow House offers students the best in contemporary student living in one of the most desirable areas of the capital. Self-contained shard studio room measuring 18m² with two 3/4 beds, kitchenette, shared en-suite bathroom, study area, wardrobe and up to 100Mbps WIFI throughout. Self-contained shared En-suite studio room measuring 21m² with a two 3/4 beds, kitchenette, shared en-suite bathroom, study area, wardrobe and up to 100Mbps WIFI throughout. Self-contained shared spacious En-suite studio room, measuring 30m² with a two 3/4 beds, kitchenette, shared en-suite bathroom, study area, wardrobe and up to 100Mbps WIFI throughout. Self-contained studio measuring 8m² with a single bed, kitchenette, en-suite bathroom, study area, wardrobe and up to 100Mbps WIFI throughout. Self-contained studio measuring 13m² approx. with a 3/4 bed, en-suite bathroom, study area and wardrobe and up to 100Mbps WIFI throughout. Self-contained studio with canal view measuring 14m² approx. with a single bed, kitchenette, en-suite bathroom, study area, wardrobe and up to 100Mbps WIFI throughout. Self-contained studio measuring 14m² approx. with a 3/4 bed, kitchenette, en-suite bathroom, study area, wardrobe and up to 100Mbps WIFI throughout. Self-contained spacious studio measuring 15m² approx. with a double bed, kitchenette, en-suite bathroom, study area, wardrobe and up to 100Mbps WIFI throughout. Two Bedroom Studio Apartment rooms measured at 16m² approx. with two 3/4 beds, kitchenette, shared en-suite bathroom, study area, wardrobe and up to 100Mbps WIFI throughout. Self-contained studio measuring 17m² approx. with a 3/4 bed, kitchenette, en-suite bathroom, study area, wardrobe and up to 100Mbps WIFI throughout. Self-contained studio with a canal view, measuring 15m² approx. with a 3/4 bed, en-suite bathroom, study area and wardrobe, kitchenette, up to 100Mbps WIFI throughout. Self-contained studio measuring 18m² approx. with a 3/4 bed, kitchenette, en-suite bathroom, study area, wardrobe and up to 100Mbps WIFI throughout. Self-contained studio offering canal side views from the private balcony, 16m² approx. with a 3/4 bed, kitchenette, en-suite bathroom, study area, wardrobe and up to 100Mbps WIFI throughout. Self-contained spacious studio measuring 22m² approx. 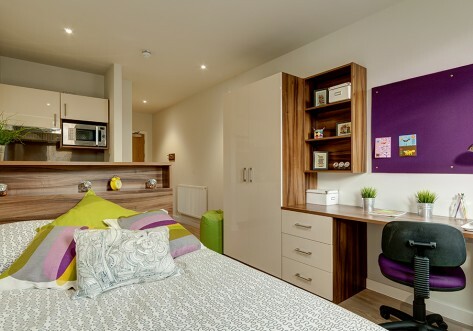 with a 3/4 bed, en-suite bathroom, study area and wardrobe kitchenette and up to 100Mbps WIFI throughout. Self-contained spacious studio room with private balcony, measuring 18m² approx. with a 3/4 bed, kitchenette, en-suite bathroom, study area, wardrobe and up to 100Mbps WIFI throughout. Book now and receive £150 cashback!